I'm back with another skincare post but this time it's a little bit different because it's a product completely new to me, something that I've never even spotted before on the market never mind actually trying. So when Korean skincare brand IASO got in touch, I was immediately attracted since Asian skincare has been on my radar for a long time now, not to mention that it's always receiving such positive reviews. Whilst browsing through the brands website I was instantly attracted to this particular cleanser, a black cleansing oil you say?! 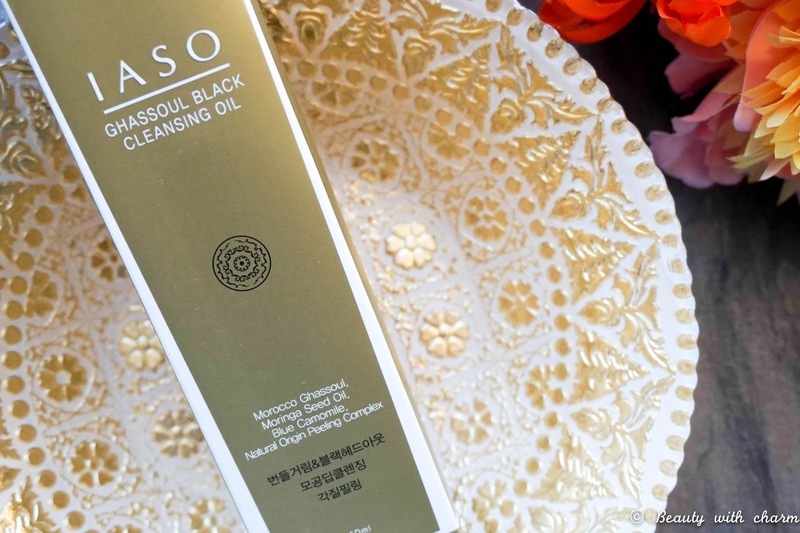 The IASO Ghassoul Black Cleansing Oil* is definitely one of the most intriguing products I've personally come across & it turns out it's also one of the brand's bestsellers. Let me tell you a little bit more about the brand IASO, which started it up back in 2001 alongside skin experts & dermatologists to make sure they discovered the best possible ingredients for every skin type. They have now become a prestige skincare brand, which focuses on sophisticated products with proactive ingredients "for the beautiful heathy skin you deserve". 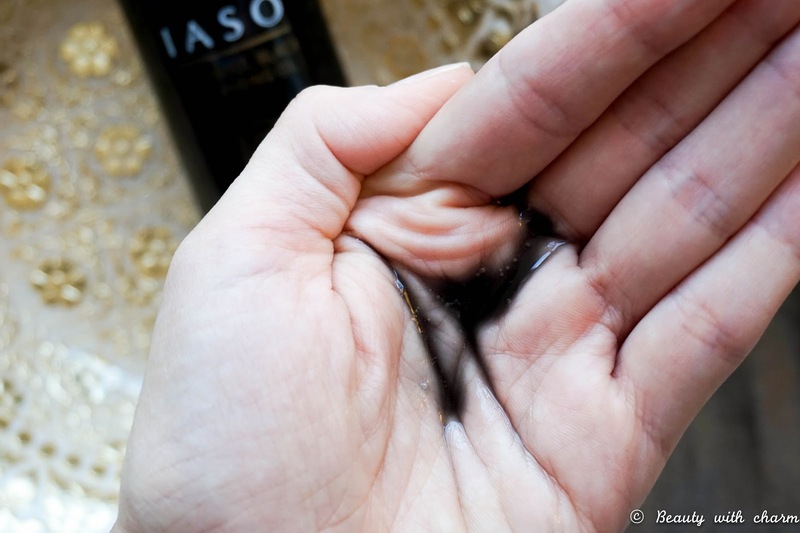 IASO focuses on 3 main concepts; Peeling (also know as exfoliation to rid of dead skin cells & reveal radiance), Filling (referring to the revitalisation of collagen, maintaining firm, elastic skin) and Healing (damaged skin is nourished with IASO's signature ingredient Centella Asiatica extract). These concept definitely hold my attention and it's definitely something I look for in my skincare routine. 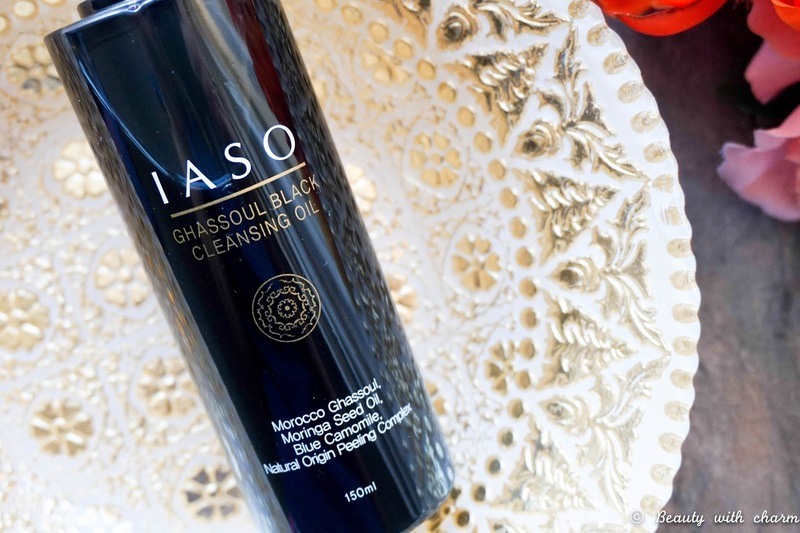 Just how did I get on with the IASO Ghassoul Black Cleansing Oil so far & what are my first impressions? First of all I'm loving the simple yet effective packaging, with something like this a pump is very much appreciated, otherwise I would imagine the application could get super messy. The first thing yo remember before pumping out any product (with each & every use) is to shake the bottle really well for a couple of seconds. This way you can be sure the clay and oil are well combined, so you get the full benefits. I like to start off with one pump on dry skin and I usually focus on the face first, leaving the eyes to last & adding more product if needed (I haven't had to use more than 2/3 pumps even for heavier makeup so a little bit goes a long way). The oil formula immediately starts to blend into the skin whilst literally melting off the makeup at the same time. I didn't think anything could beat my much loved micellar water when it comes to removing eye makeup, but this is a very close contender. The only thing worth mentioning is that it will be a bit messier than your regular cotton pads or wipes as you experience the panda eye effect. However rinsing it all off is so simple & you don't even need to use any kind of muslin cloths, as it just washes away with warm water. The instructions suggest that it's suitable for all skin types & whilst my skin agrees with it since I've had no allergic reaction or anything like that, I do have to say that I prefer using this 2/3 times a week at the most. With claims such a deep cleansing including blackheads & pore shrinking, it can leave my skin feeling a little big tight. With my dehydrated skin it's just not something I want to go over board on so Think sticking to a few times a week is what will work best for my skin. I usually use this on the nights when I'm not using my Clarisonic or wearing a lot if makeup, which is a nice change for my skin. The main ingredients of this cleansing oil are Moroccan Ghassoul Clay (this absorbs excess oil & tightens the pores), Moringa Seed Oil (known for natural cleansing), Papaya Extract (for gentle exfoliation) & 7 Flower Extract (to moisturise & nourish the skin.